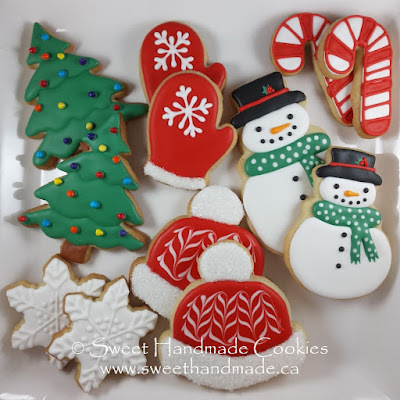 It's time to order Christmas cookies. 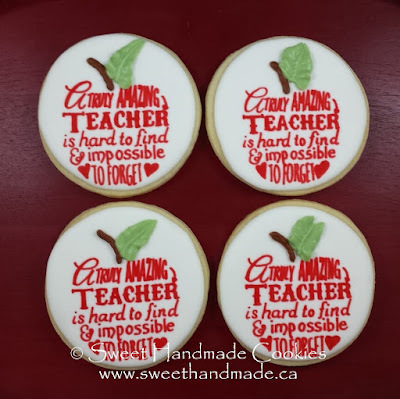 Hello friends, please take a look at the cookies available to order now for pick up on or before December 23rd. 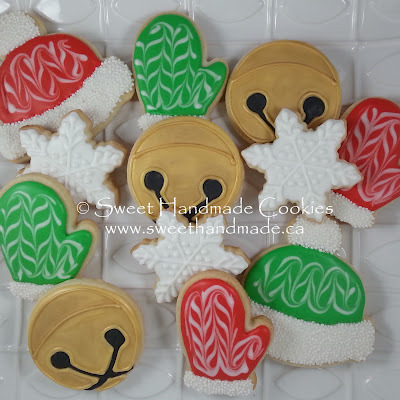 After December 10th, any of these designs will be available in gingerbread or my regular vanilla flavour. 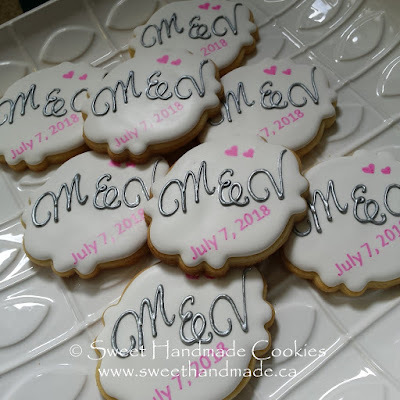 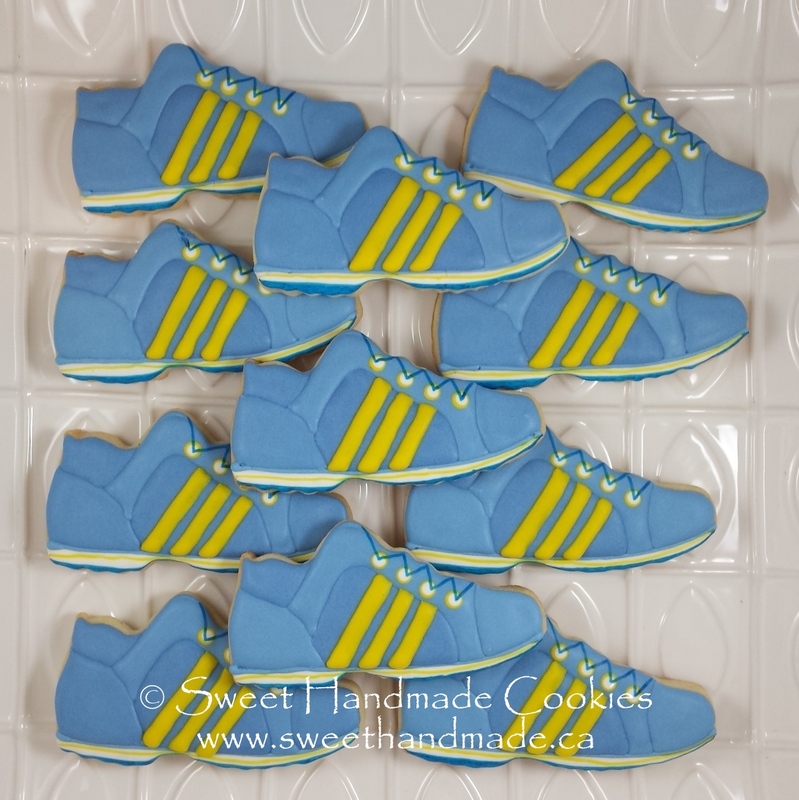 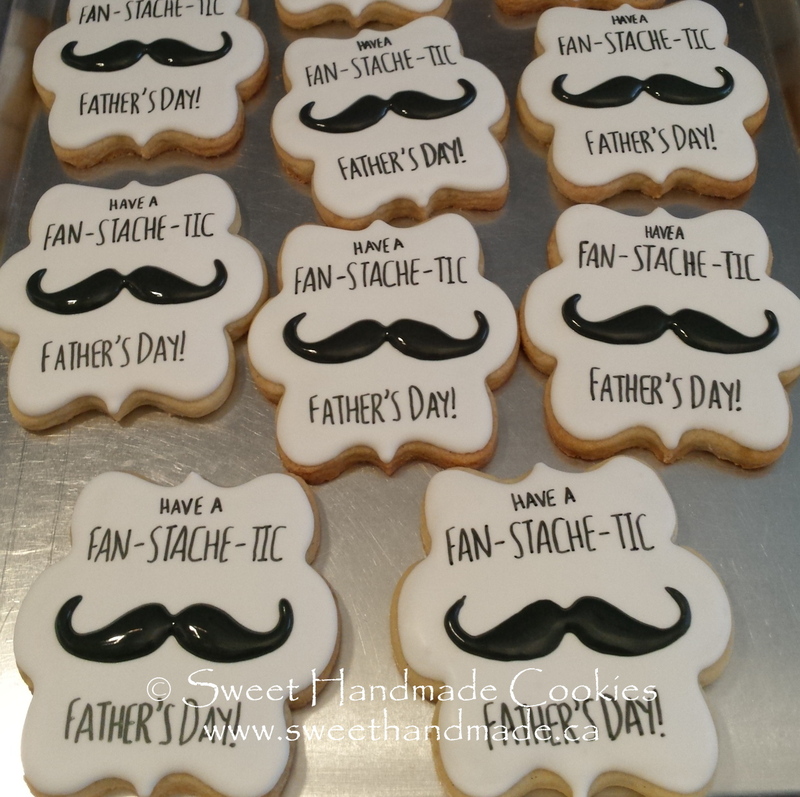 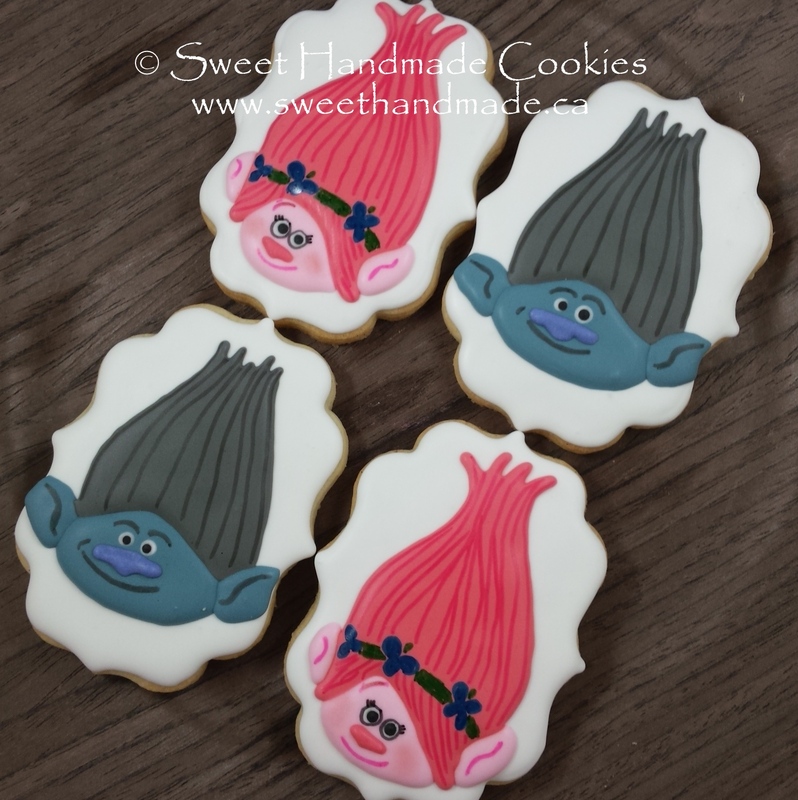 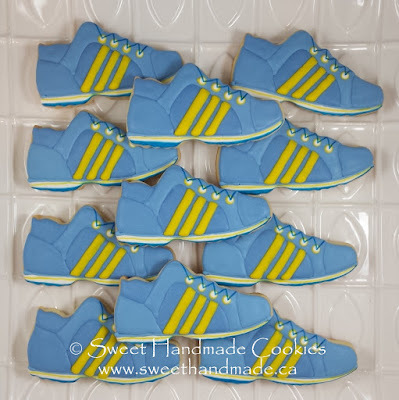 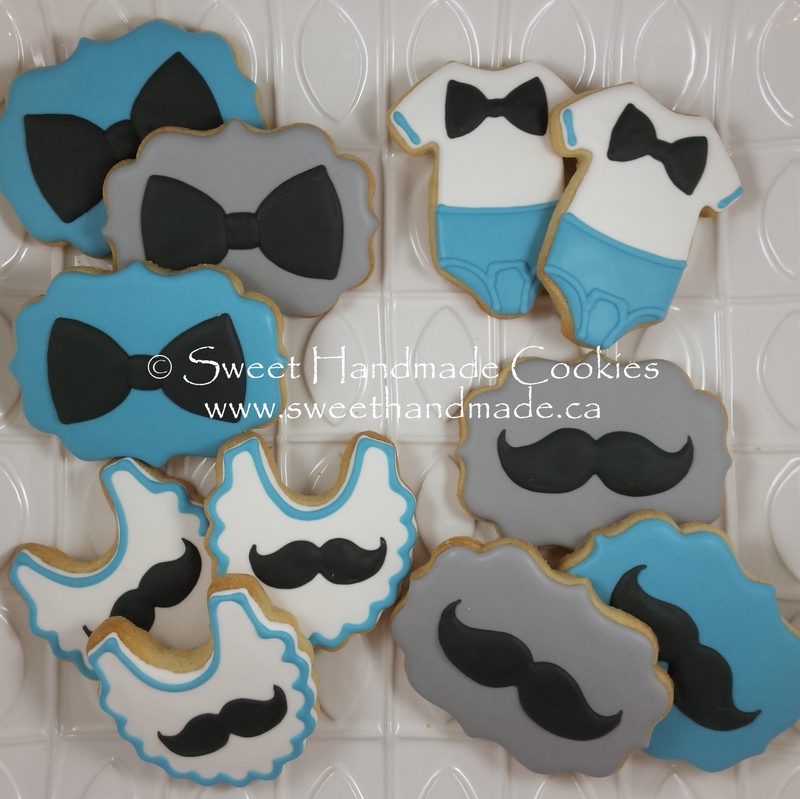 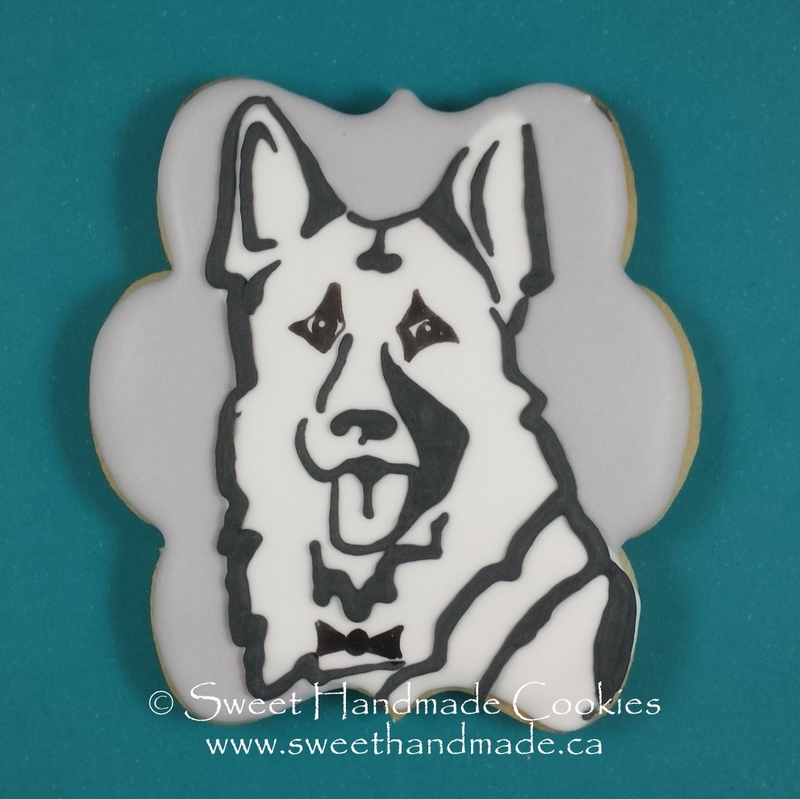 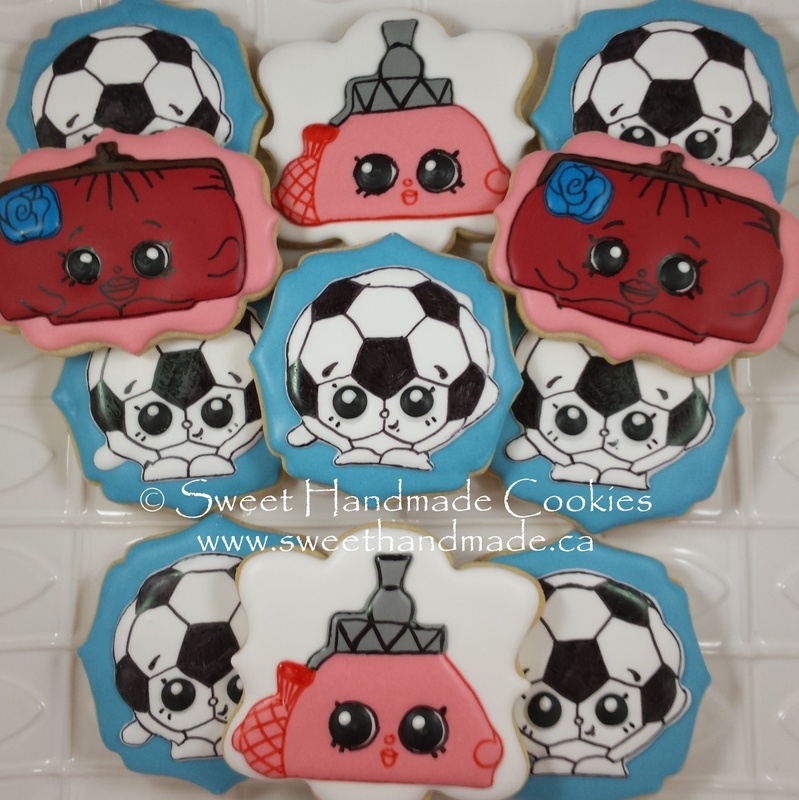 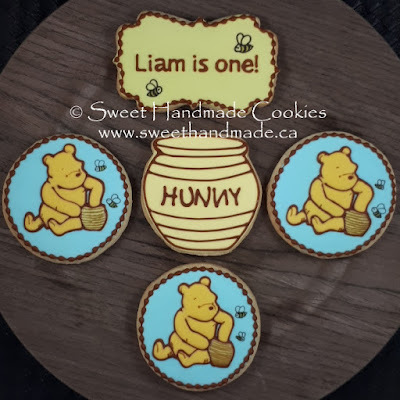 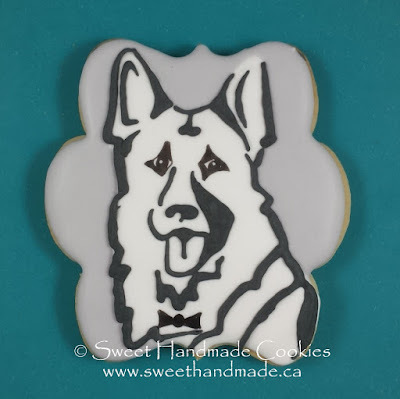 I am not offering any other designs and I will not customize any cookies. 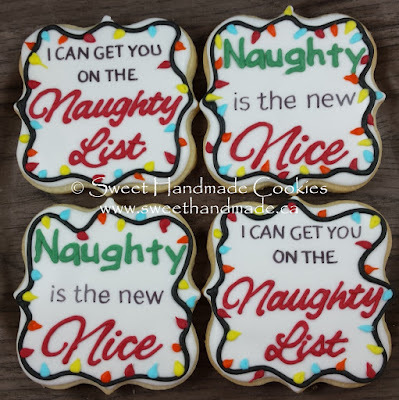 I am trying to squeeze as many cookies into my schedule as possible for the final push before I close my doors for good. 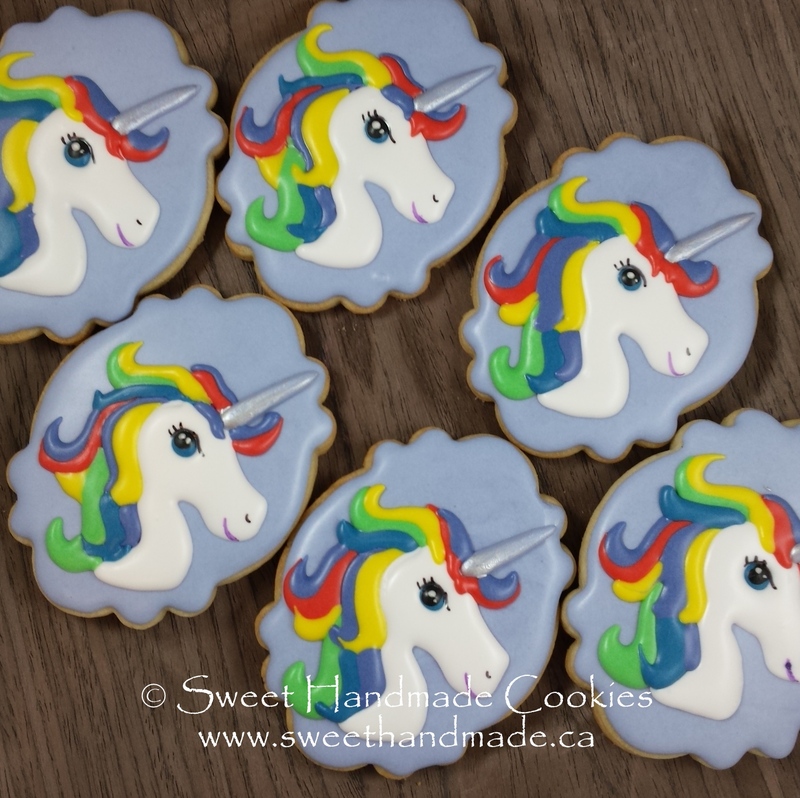 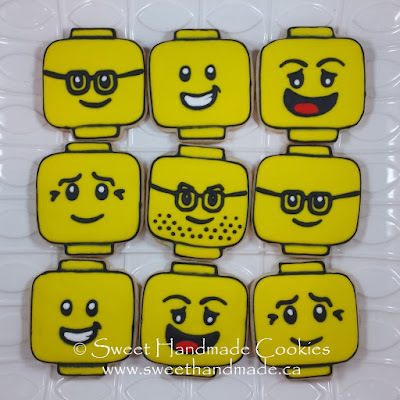 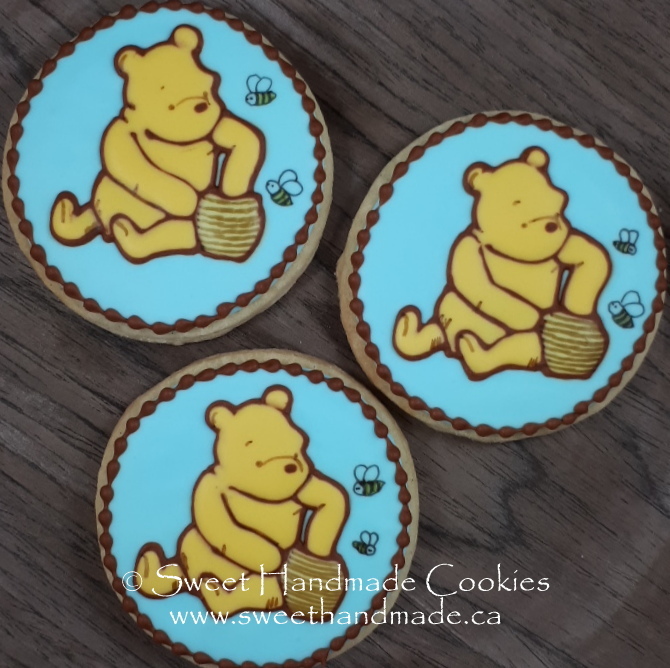 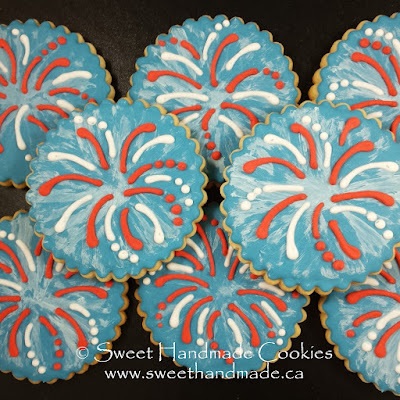 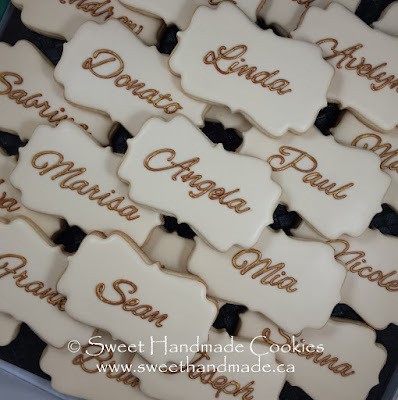 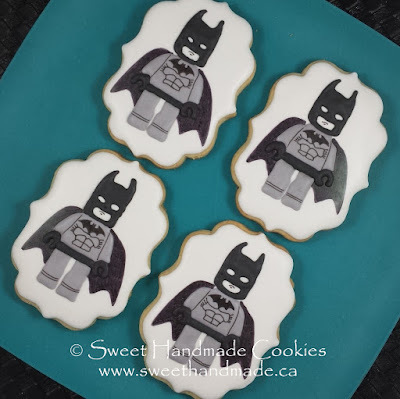 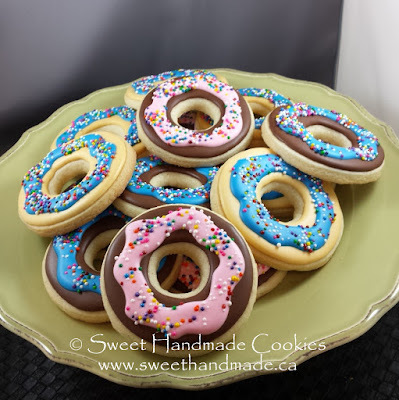 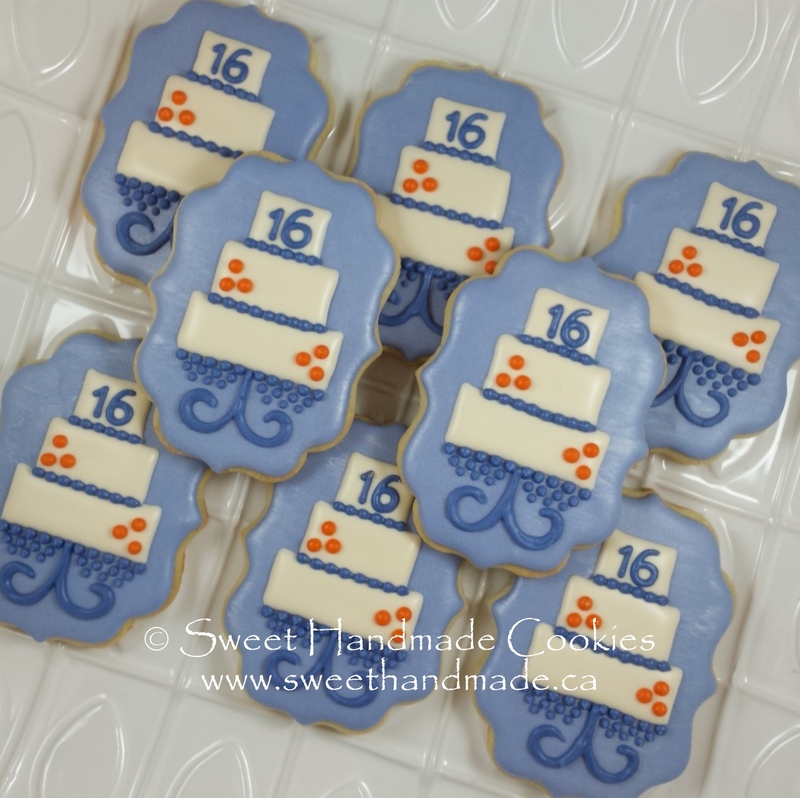 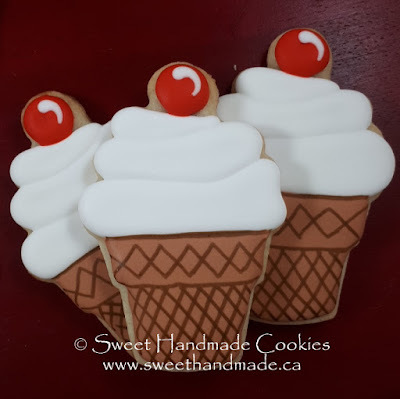 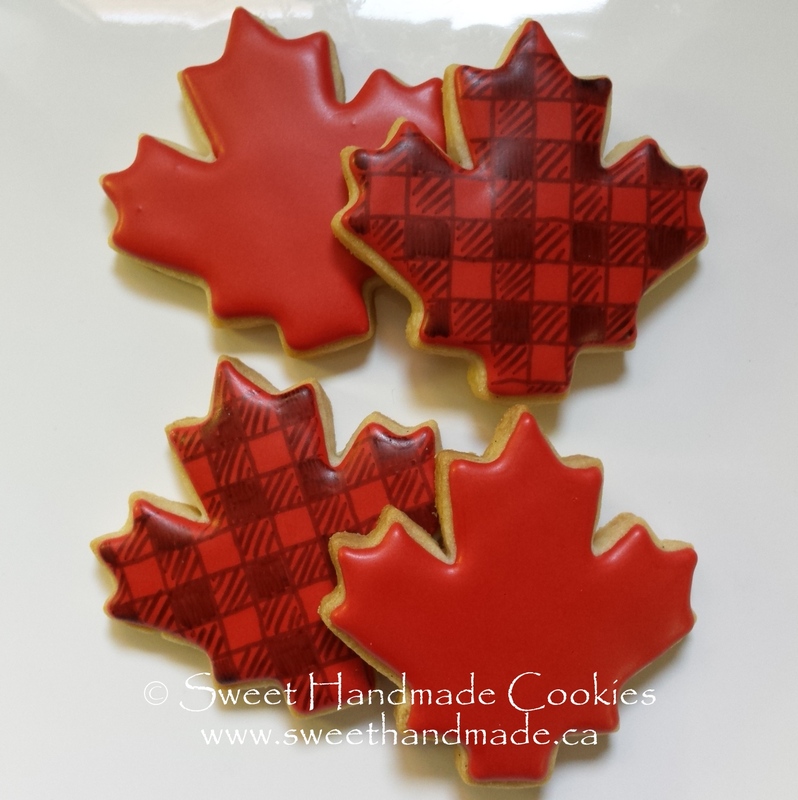 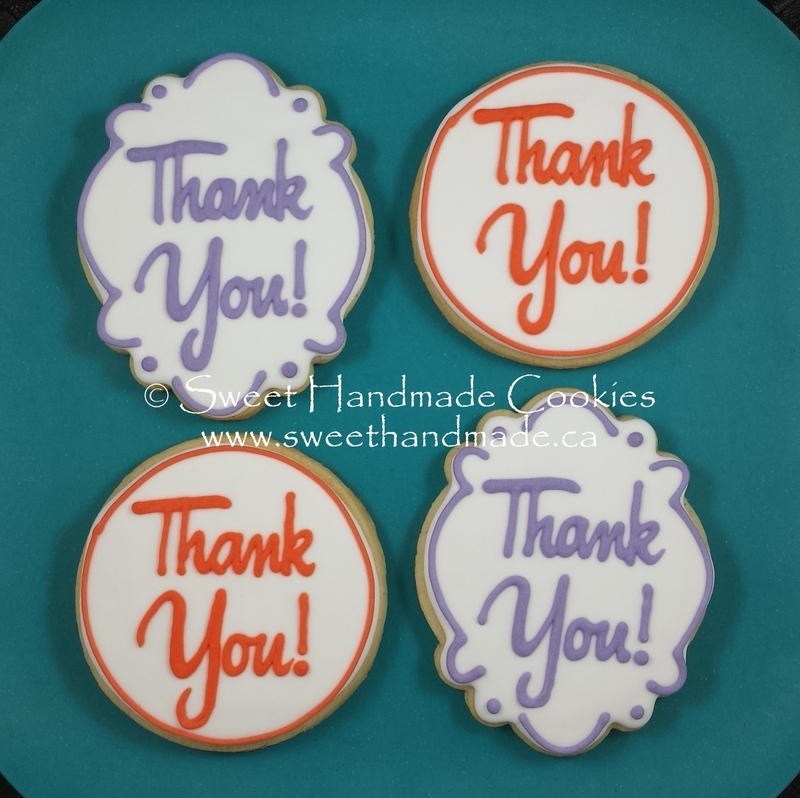 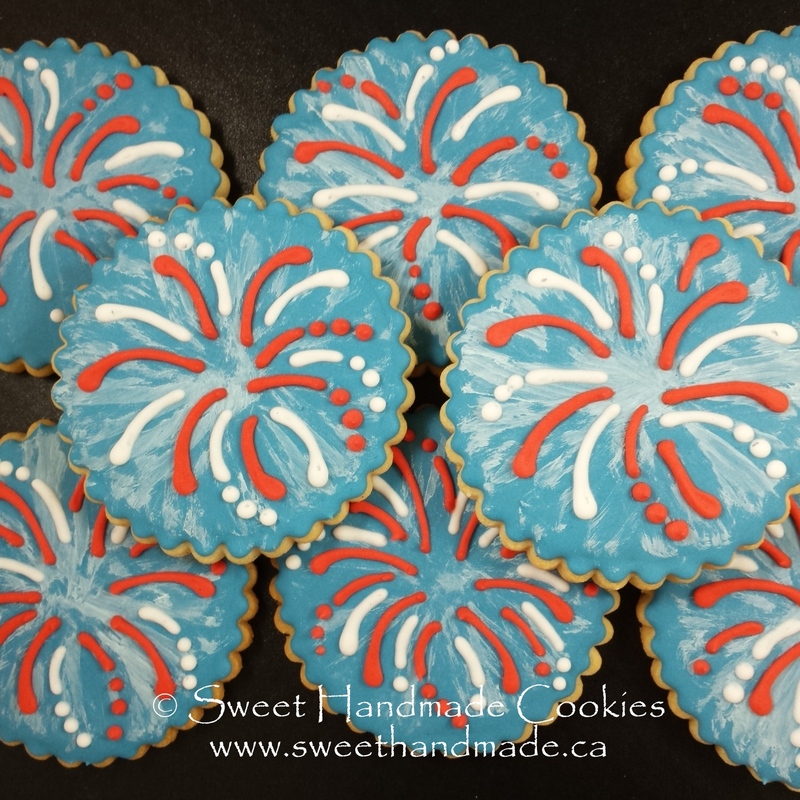 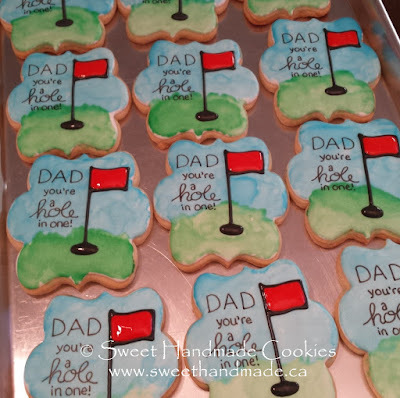 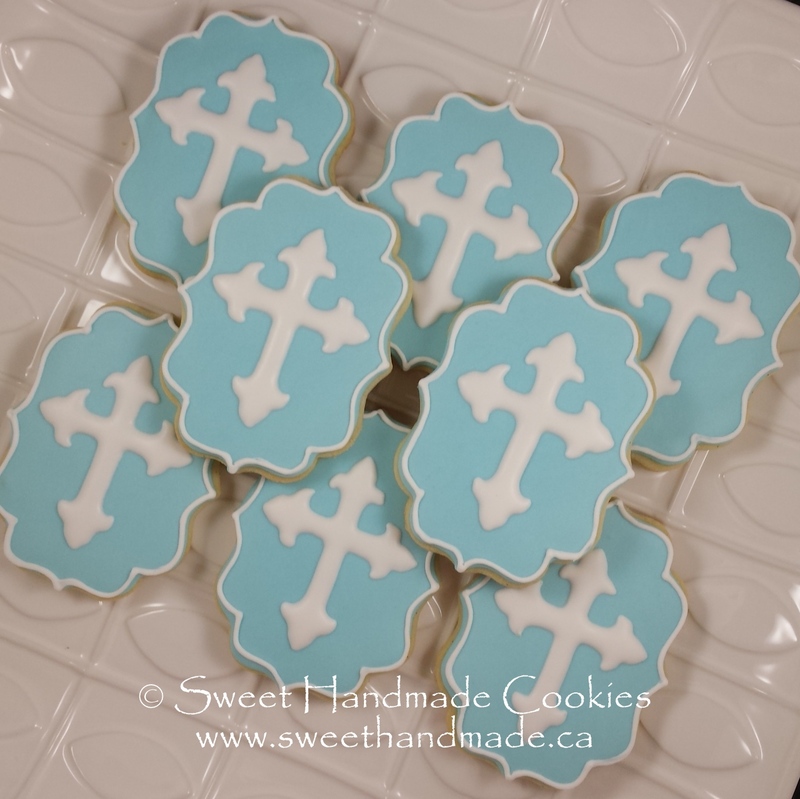 These cookies are available in any quantity and are $4.50 each. 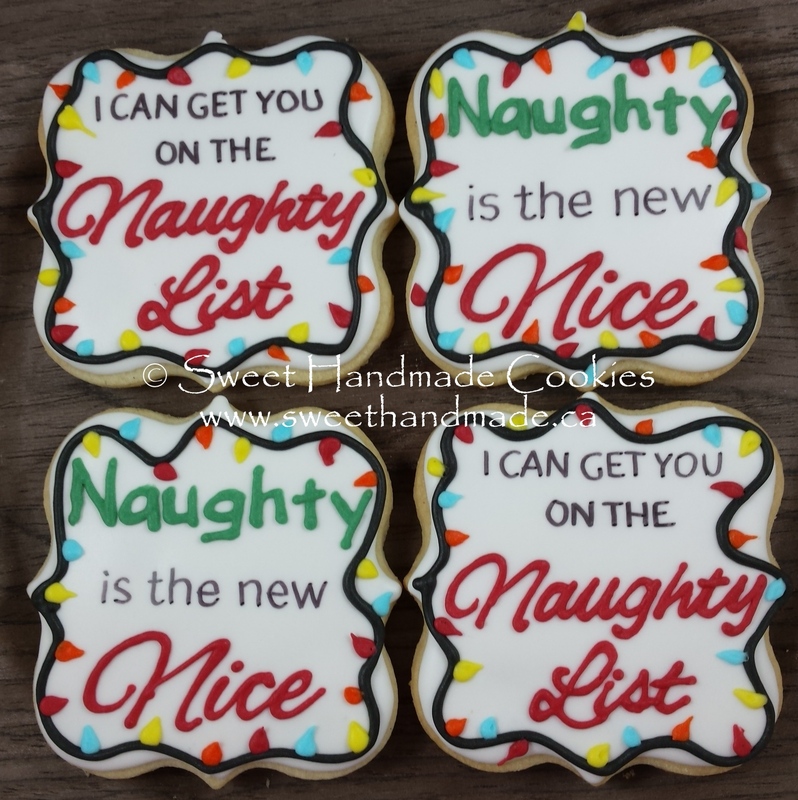 Ask for "Merry and Bright", "Naughty List", "Naughty/Nice", "Pointsettia", "Snowman" or "Merry Christmas" when you place your order. 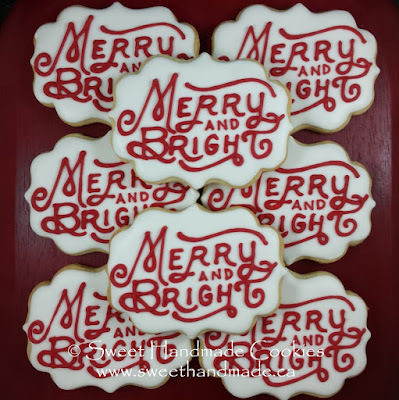 These individual cookies make great stocking stuffers, enhance your holiday table or are a great way to make any gift more special. These sets of 12 are available for $50 each. 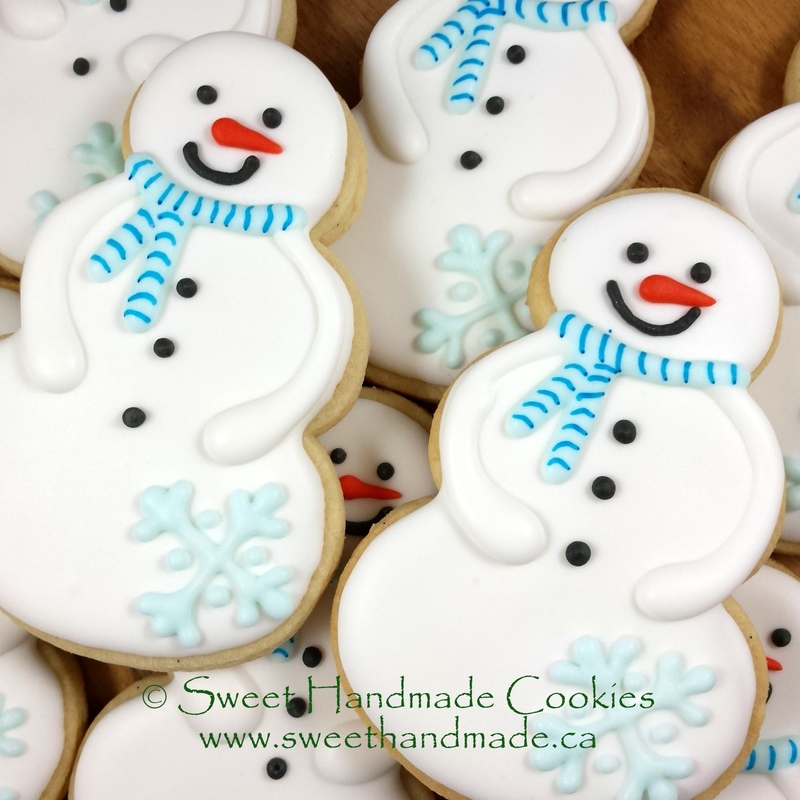 Ask for "Golden Bells" or "Frosty's Wonderland" when you order. 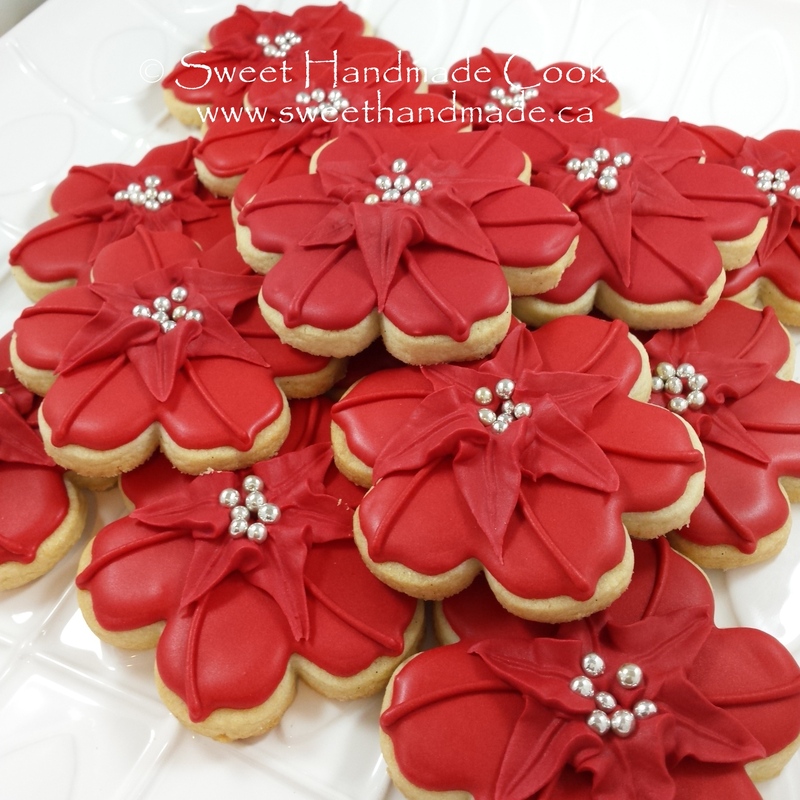 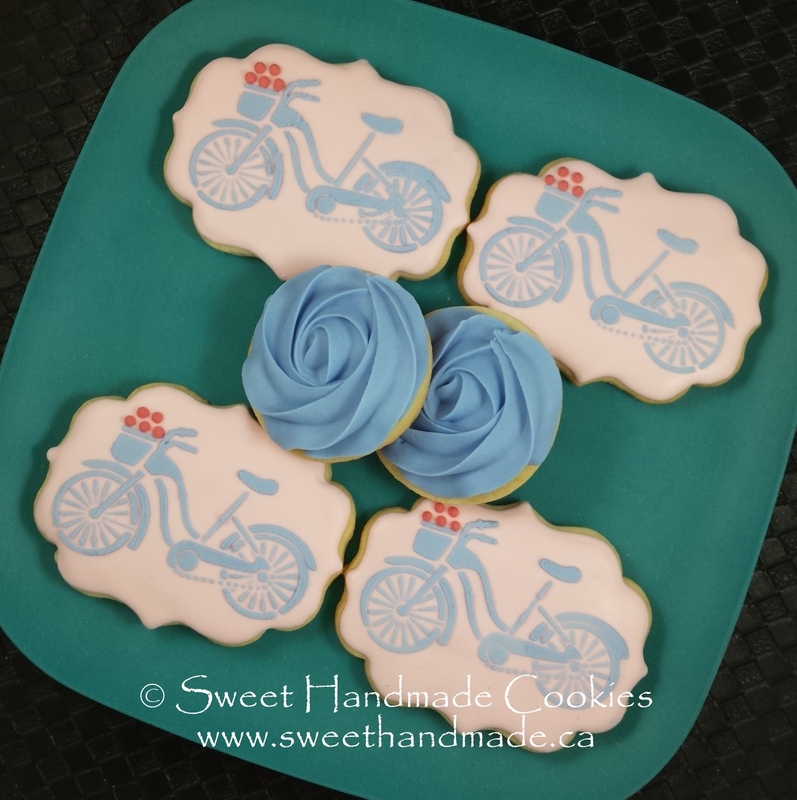 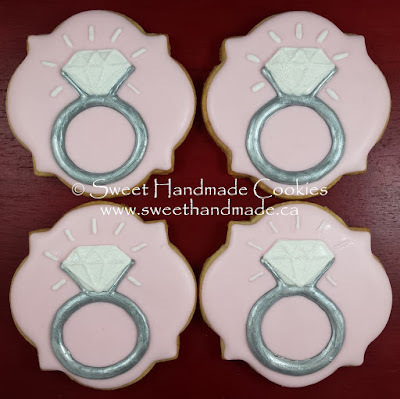 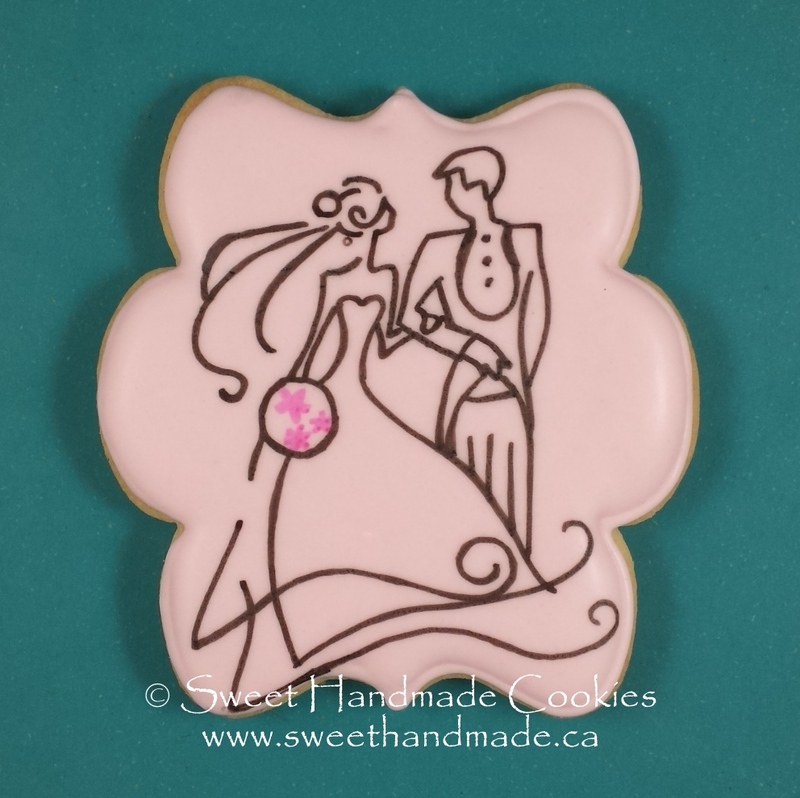 These sets of 6 cookies are $27 each and come in a decorative box with a ribbon. 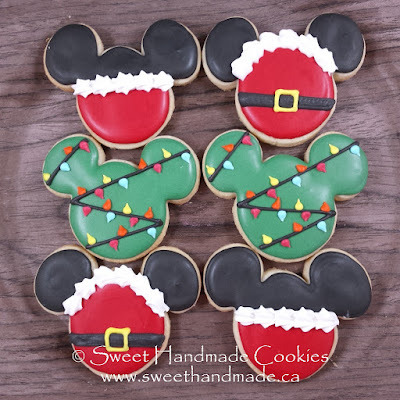 Ask for "Mickey Mouse" or "Let it Snow". 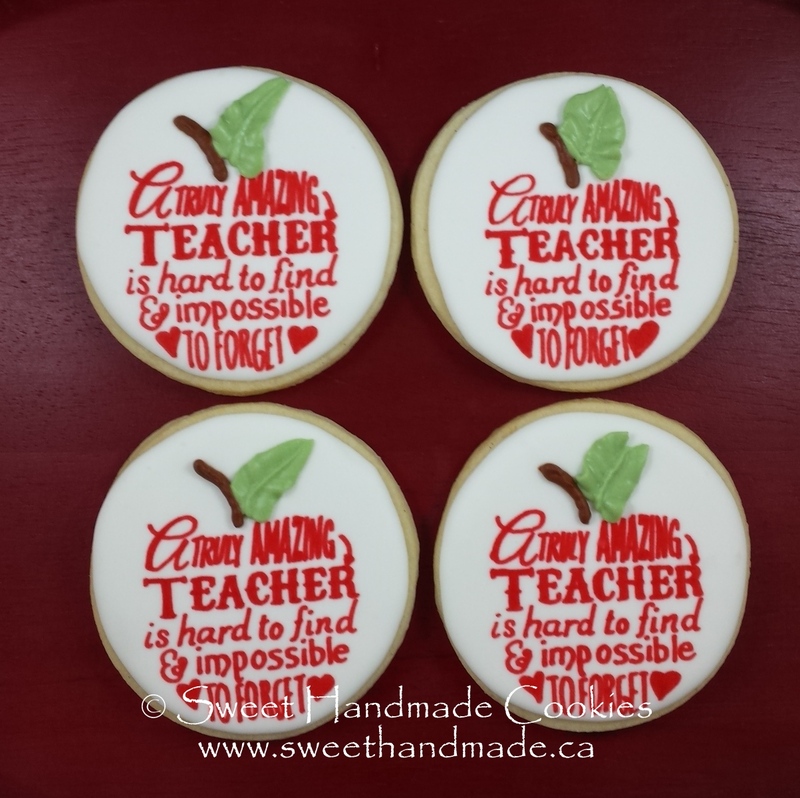 These small sets are perfect gifts for teachers and the other special people in your life. They come in a decorative box closed with a ribbon and are $11. 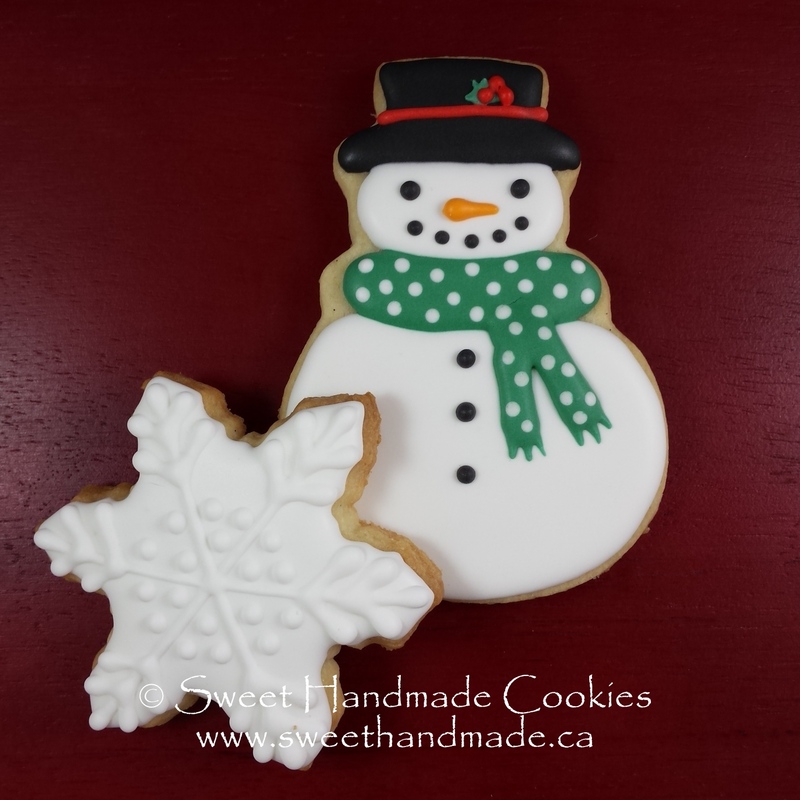 Ask for "Merry Christmas & Tree" or "Snowman with Snowflake". 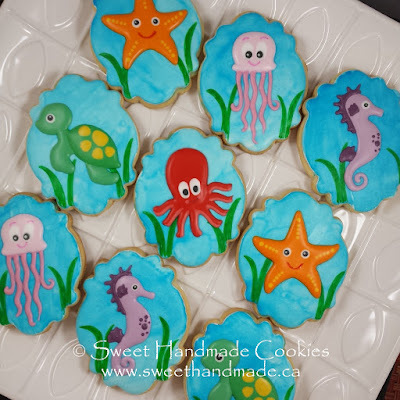 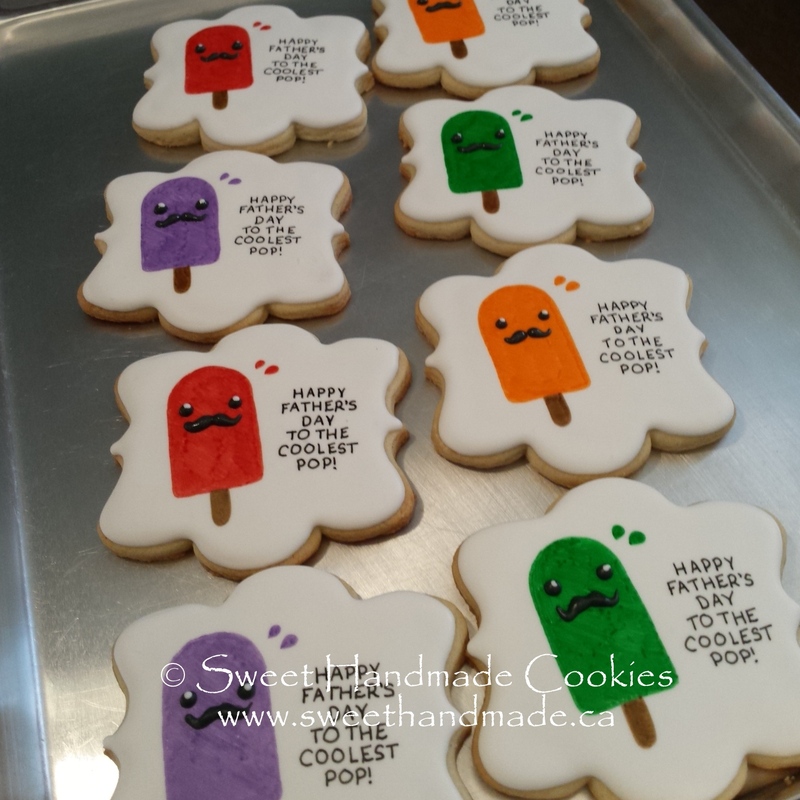 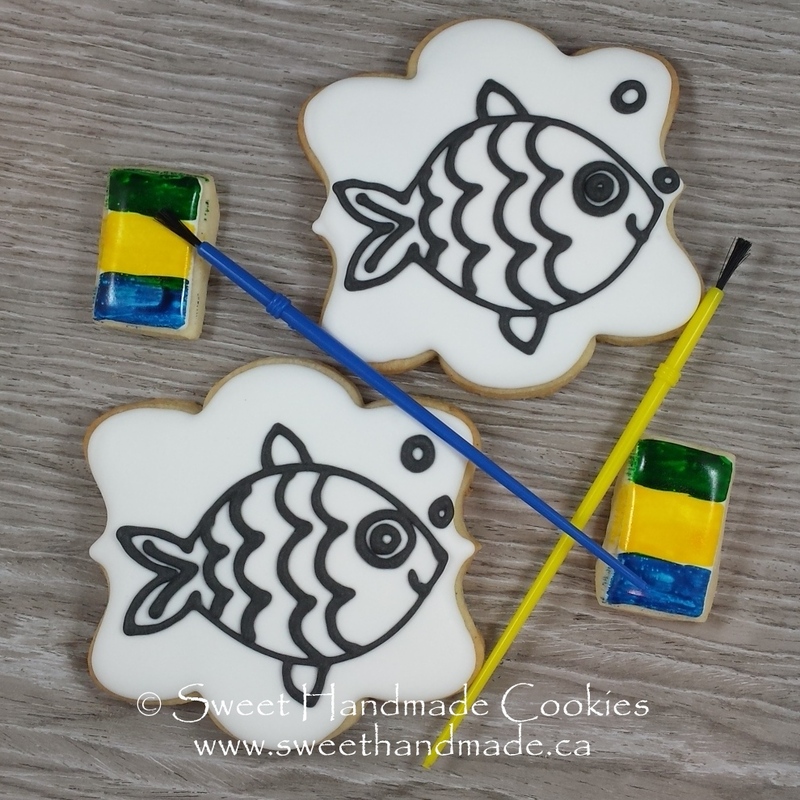 Decorating your own cookies is a blast for young ones (or young at heart). 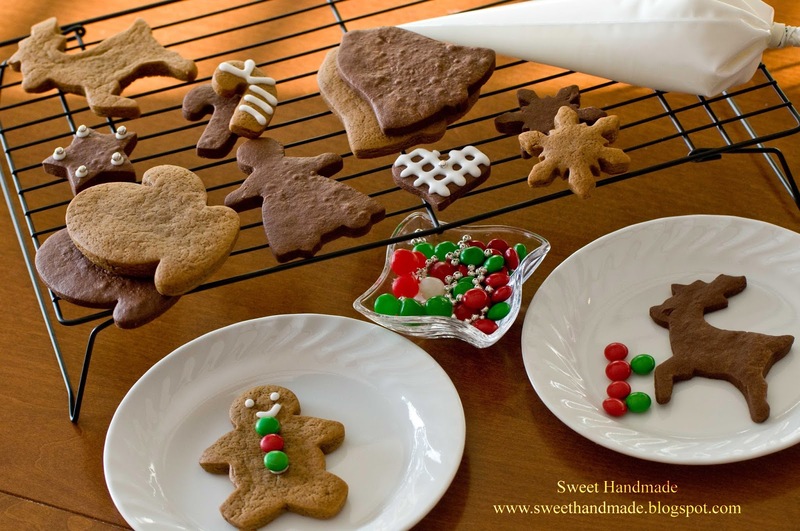 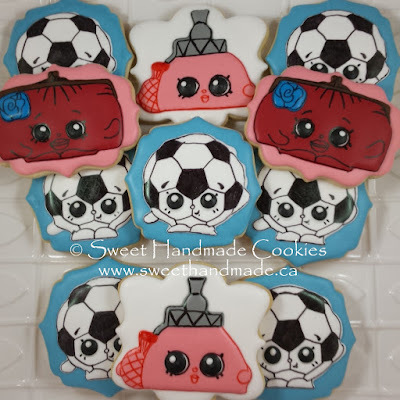 Plan a day over the holidays for some sweet fun by ordering some of these great cookies for your family. Cookie decorating kits come with 12 cookies, 2 bags of icing and candies, $25. 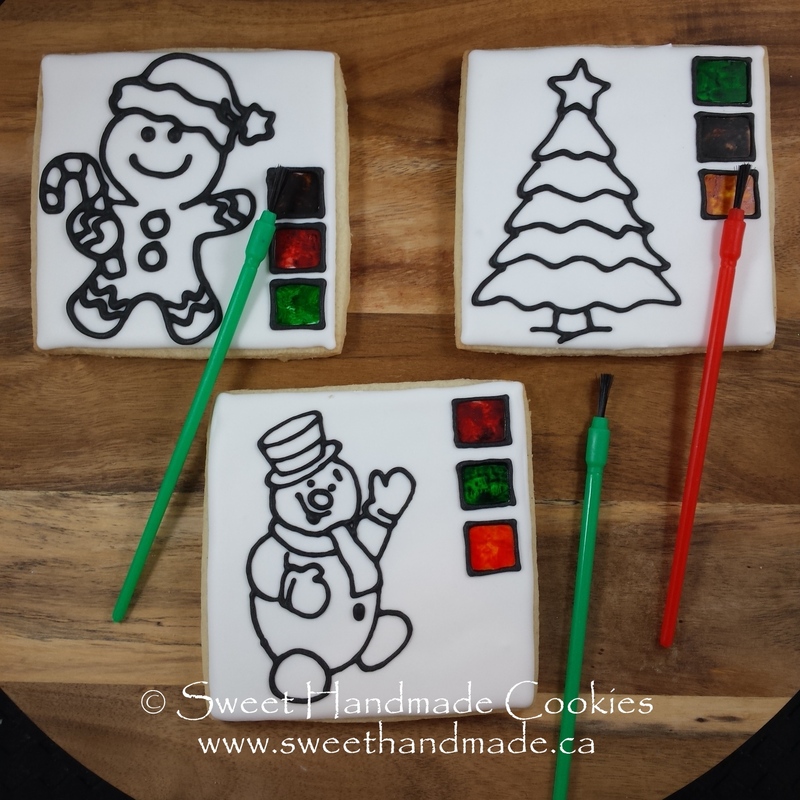 Paint-your-own cookies come with a paint brush, $7 each. 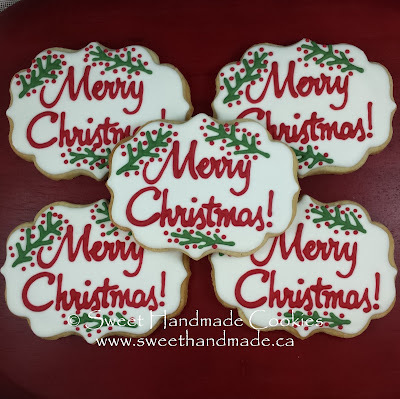 Advent set of 24 mini cookies. 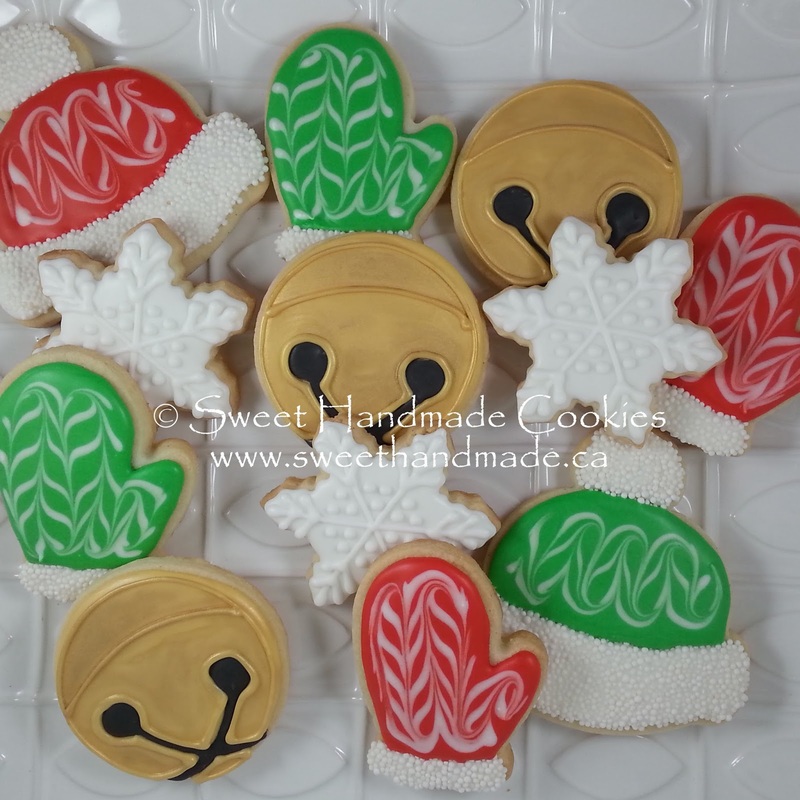 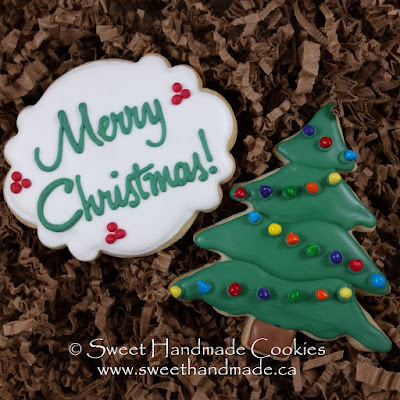 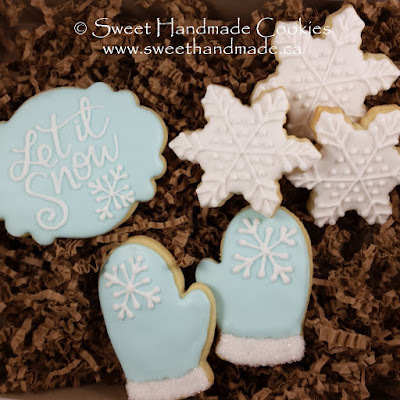 Order this set of 24 cookies and pick up before December 1st to countdown to Christmas. Each little snowman has a number of his heart and an adorable blue scarf. 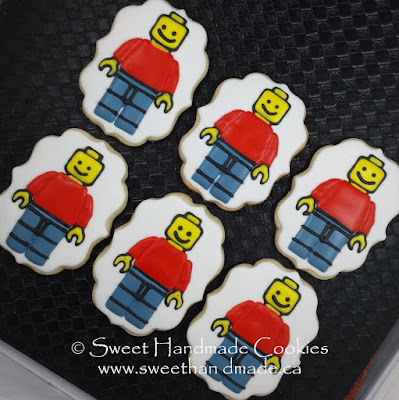 The entire set is $48. 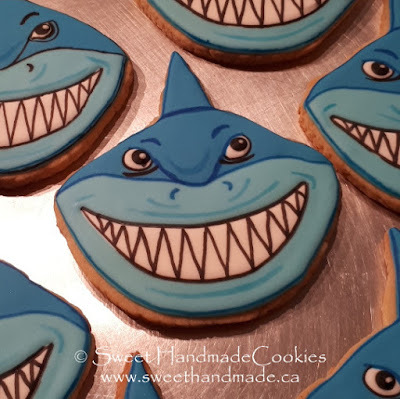 Celebrating Shark Week with these shark cookies! 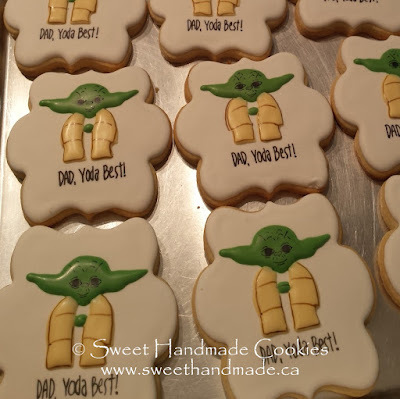 Paint-your-own cookies are a great alternative to regular loot bag options. 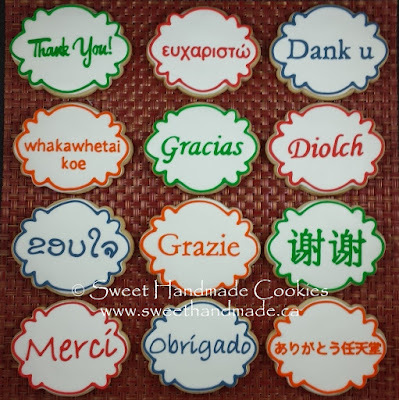 Thank you in English, Greek, Dutch, Maori, Spanish, Welsh, Lao, Italian, Chinese, French, Portuguese and Japanese. 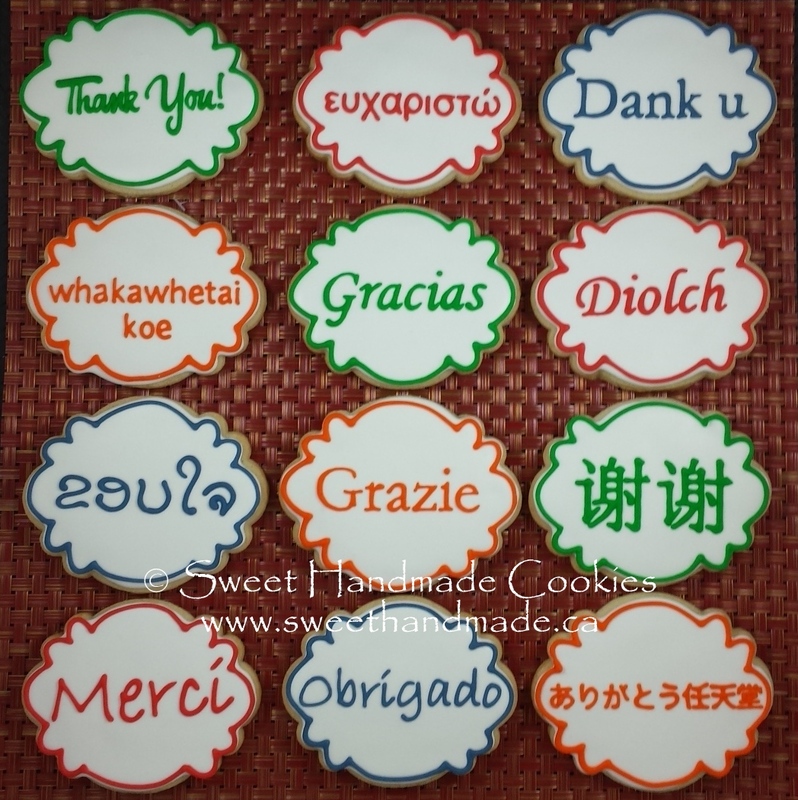 God bless Giordano and Milano! 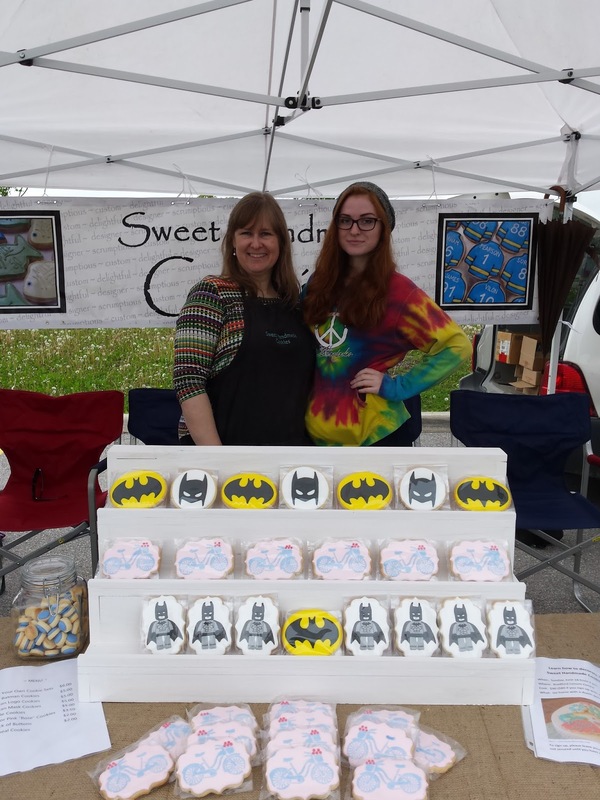 I've started my 7th year at the Bradford Farmers' Market. 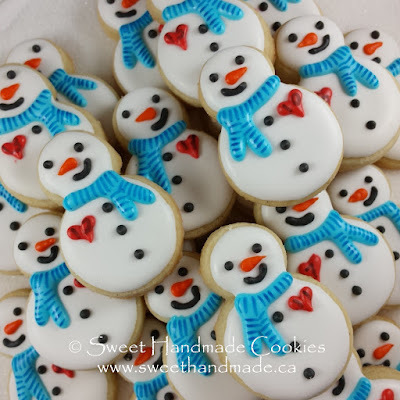 Please drop by and pick up some delicious cookies any Saturday between now and Thanksgiving weekend in the BWG Library parking lot. 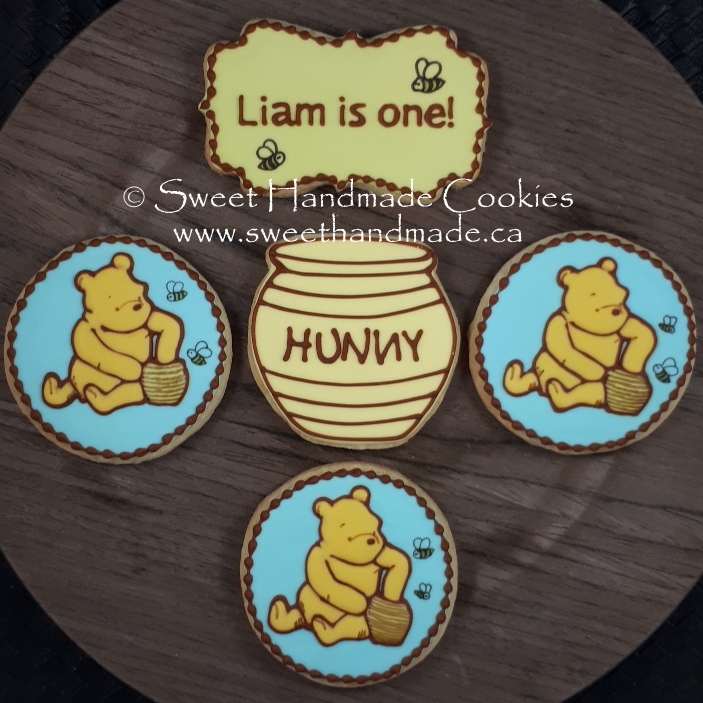 I have a different theme every weekend, get sneak peeks of my theme by following me on my Facebook page or my Instagram page.